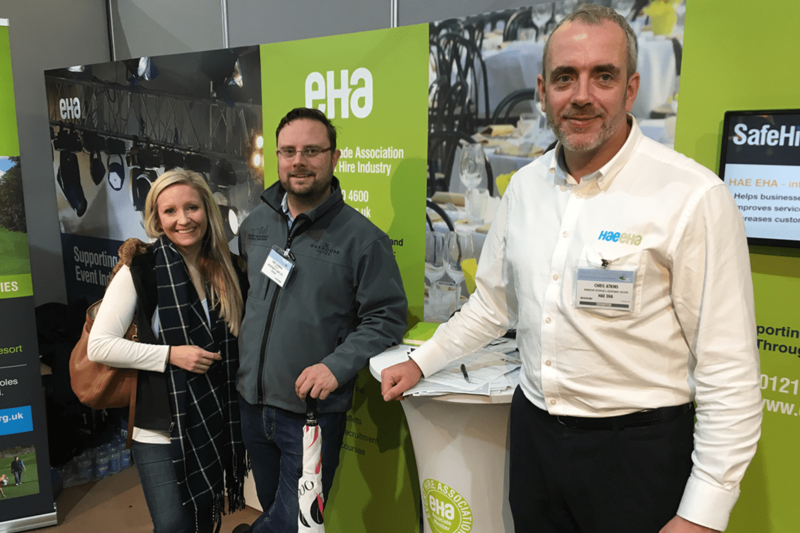 This year Event Hire Association (EHA) is showcasing its wide range of event hire products and services specifically for the event industry. Taking to the stand in the main exhibition hall, Stand 80, EHA will be promoting everything event hire from Codes of Practice for Portable Sanitation, Electrical Services, Safe Use of LPG, and Temporary Structures, to certification schemes such as SafeHire and, new for this year, Hire Industry Trusted Supplier (HITS). High on the agenda will be EHA’s SafeHire Certification Scheme for events, the certification scheme which allows companies to demonstrate they have achieved the highest standard in Health & Safety, quality and environmental policies and operations. SafeHire has been developed in conjunction with BSI, HSE and CHAS and is highly cost effective. This year, EHA is looking to speak to event suppliers and manufacturers who are looking to promote the highest level of quality, competence by achieving ‘Hire Industry Trusted Supplier’ status. On a par with SafeHire Certification for event hire companies, HITS provides an extra layer of reassurance for businesses that their chosen supply partner is fully committed to maintaining the very best practices and its suitability as a supplier is recognised. If training is what you’re looking for then step no further and ask a member of the EHA team about its latest virtual reality training software, developed to assist with many aspects of Health & Safety training for the events industry. V-Hire training modules include: Angle Grinder, Dangers of Dust, Generators, Cordless Drill and Battery Equipment, Electricity Modules, Liquefied Petroleum Gas, Working at Height, Ladders and Safe Use, Lighting which includes Festoon and Flood lighting. Visitors to the stand will be able to see the technology in action, have a go themselves and discover how EHA is helping members deliver training on their own premises and in their own time.